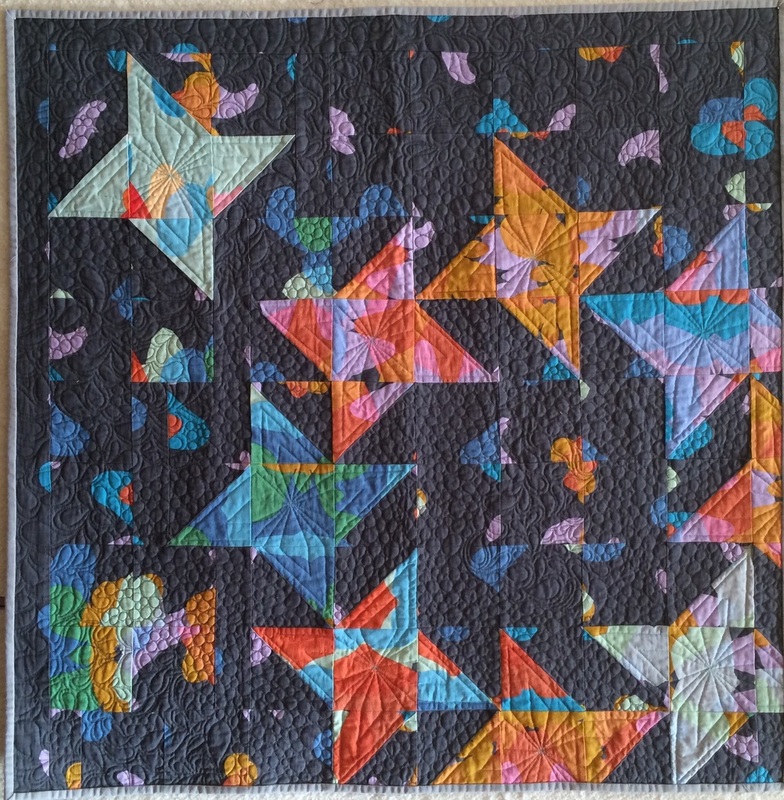 This year's guild challenge for International Quilt Festival was to take the traditional friendship star block and make it modern. I submitted a quilt and it was accepted to the show again, which was fun. My idea was to take a large-scale print and cut it in a way that created a new look. I was inspired by this quilt I spotted on Pinterest. The image comes from the Australian fabric company Umbrella Prints. I loved how the large-scale print was chopped up and used in an unexpected way. The large scale print I decided to use was the gorgeous Ghost Wing by Anna Maria Horner. I started with the mint fabric, and bought the dark grey for the back. Halfway through the process I realized I loved the dark fabric even more than the mint and decided to make it the front. I made the mint into a mirror image of the front, so the quilt is completely reversible. Nikki Maroon quilted this for me and I adore what she did.